Are you ready for an energy boost? Instead of buying energy drinks at the store, enjoy these healthy protein-rich smoothies and have a more productive day. You need good physical and mental productivity to accomplish all the things you need to do and face all the challenges that arise during the day. Having enough energy is a determining factor in keeping focused and using your time well. However, bad eating habits, stress, and fatigue can lower the quality of your work and really interfere with your daily life. Fortunately, there are energy-packed natural drinks that give your body a boost to keep working without these lows. Plus, they don’t expose you to any harmful side effects like some others do. 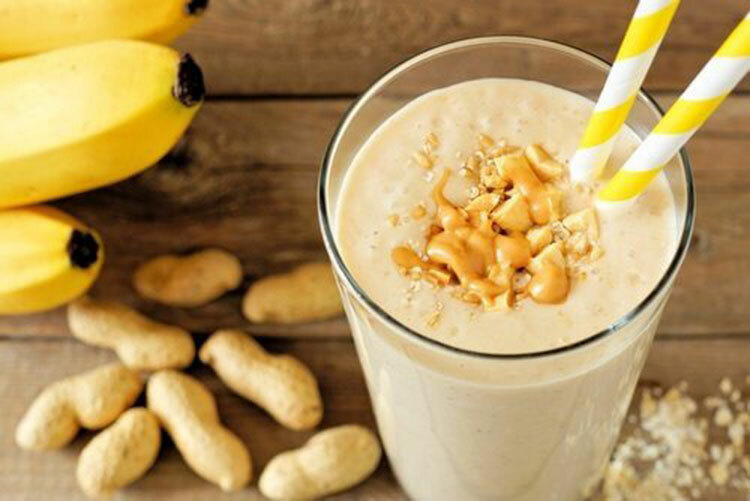 Protein-rich smoothies are a great option. They’re not only a good source of “fuel,” but also full of a great variety of nutrients you need for your health. Below, we’ll share several delicious protein-rich smoothies for you to make at home. 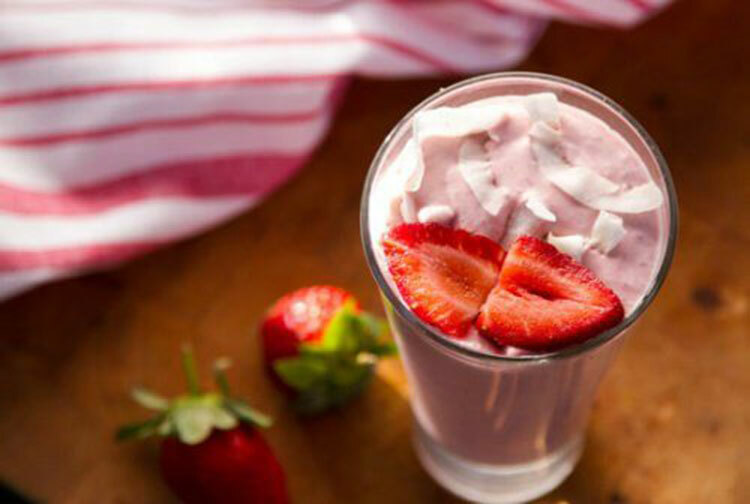 This strawberry yogurt smoothie is energy-packed and gives your body a significant amount of protein and antioxidants in exchange for few calories. The essential fatty acids, amino acids, and minerals in it encourage enhanced physical and mental performance. These all help you stay productive all day. First, add all ingredients to the blender. Process until creamy and all lumps are gone. Enjoy as soon as possible to avoid any nutrient loss. Have it as part of your breakfast or when you find yourself in an energy slump. This delicious recipe made with apples and yogurt contains a significant amount of protein. This gets absorbed by your body and improves physical and mental performance, especially with high-intensity activities. We recommend adding honey and almonds, with their many nutrients that increase energy levels in your body. Cut up the apple and add it to the blender along with the yogurt and honey. Blend for a few minutes, and once well-mixed, add the almond bits. Enjoy up to 2 times a day. 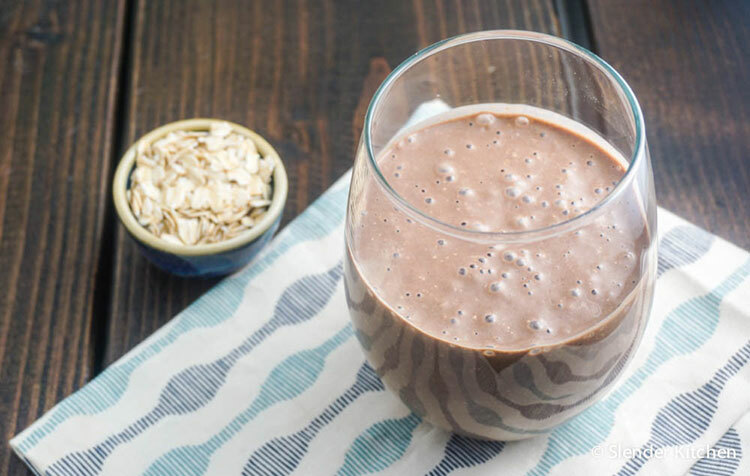 This chocolate oat smoothie contains antioxidants, fiber, and essential amino acids, helping up your physical and mental energy. Its nutritional profile enhances mental performance while helping prevent concentration and memory problems. While it contains a decent amount of calories, if you have it in moderate amounts, it can control your appetite and help you manage your weight. Add all the ingredients to the blender and process until well-mixed. Consume around mid-morning or whenever you feel the need for an energy boost. Protein-rich and high in essential fatty acids and probiotics, this smoothie is a nutritious way to recharge your batteries. Its nutrients improve your digestion while keeping you going, both physically and mentally. Process the walnuts, yogurt, and vanilla in the blender until you get a creamy texture. Garnish with the tablespoon of raisins and enjoy. Have a glass around mid-morning or in the afternoon. It may seem strange to some people to add cheese to their smoothies, but it’s actually a very tasty and healthy way to give your body a significant amount of protein. This recipe is recommended for athletes or people whose jobs require physical activity, because it helps build muscle mass while increasing your productivity. Add all the ingredients to the blender and process until creamy. Consume as soon as possible, once a day. Drink That Melts Fat Like Crazy: Amazing Drink That Guarantees Excellent Results!